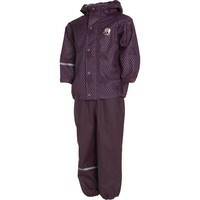 Children's rain suit in purple, consisting of a children's raincoat with stars and dots, a detachable hood and a kids' rain pants. Due to taped seams, water will not enter through the seams even in strong winds. 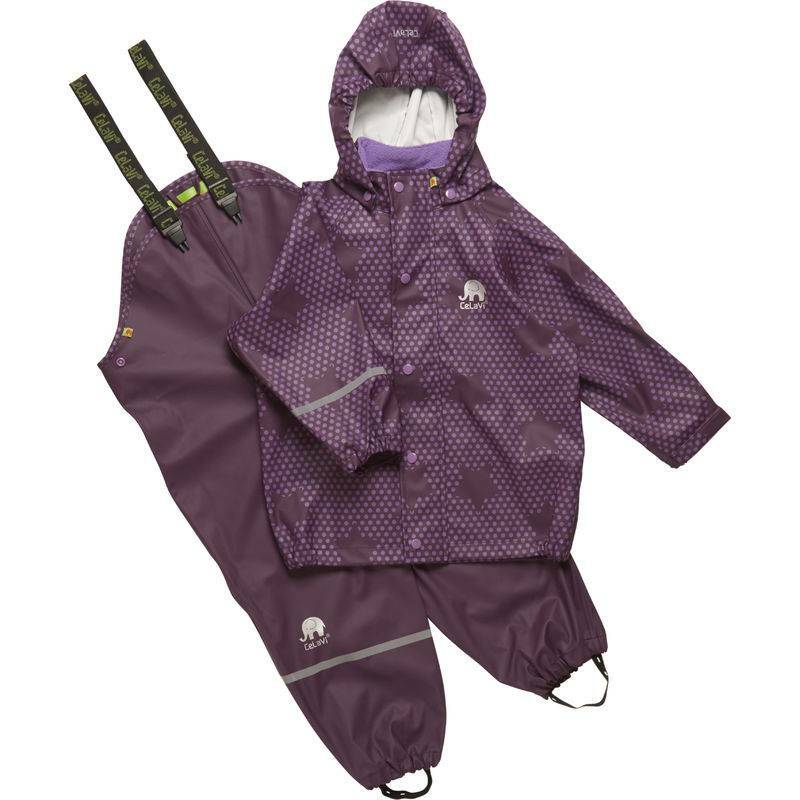 Beautiful quality rain suit consisting of a purple children's raincoat in stars print and detachable hood and a purple rain pants with elastic waistband. Note these sizes are without braces. Note these sizes are without braces. Integrated push buttons in the storm flap; these protect the zipper, the rain does not stand a chance. Waterproof taped seams. Sustainably manufactured without nickel, PVC and Ftelates. This raincoat and trousers have a water density of 5000 mm. Safe in fencer and dark by reflection stripe. 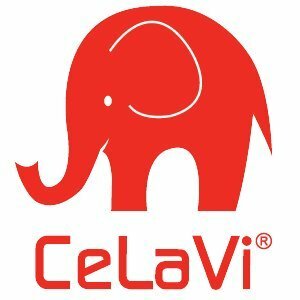 The jacket feels comfortable and soft thanks to the material of 62% polyester with an outer layer of Polyurethane (38% PU). Soft and strong for small explorers. The jacket is unlined, in cold weather it is perfect to combine with the nice thermo and fleece clothing of this Danish brand. In the same cheerful colors and high quality.